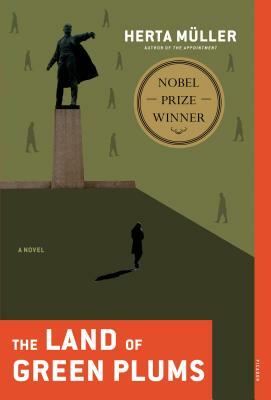 Set in Romania at the height of Ceauescu's reign of terror, The Land of Green Plums tells the story of a group of young people who leave the impoverished province for the city in search of better prospects and camaraderie. But their hopes are ravaged, because the city, no less than the countryside, bears everywhere the mark of the dictatorship's corrosive touch. All the narrator's friends—teachers and students of vaguely dissident allegiance—betray her, do away with themselves, or both. As they do so, we see the way the totalitarian state comes to inhabit every human realm and how everyone, even the strongest, must either bend to the oppressors or resist them and thereby perish. Herta Müller, herself a survivor of Ceausescu's police state, speaks from intimate experience. Scene by scene, in language at once harsh and poetic, she constructs a devastating picture of a society and a generation ruined by fear. In simple images of hieroglyphic power—policeman filling their pockets and mouths with green plums; girls sleeping with abattoir workers for bags of offal; a docile proletariat making things no one wants—"tin sheep and wooden watermelons"—Müller anatomizes a country and its citizens and the corruption that has rotted the core of both. Michael Hofmann is a poet and frequent contributor to The New York Times Book Review, and is widely regarded as one of the world's foremost translators of works from German to English. He lives in London.